The Shawline is good, good to the point where several very happy users have commented that they can’t imagine their system could sound any better. It can. 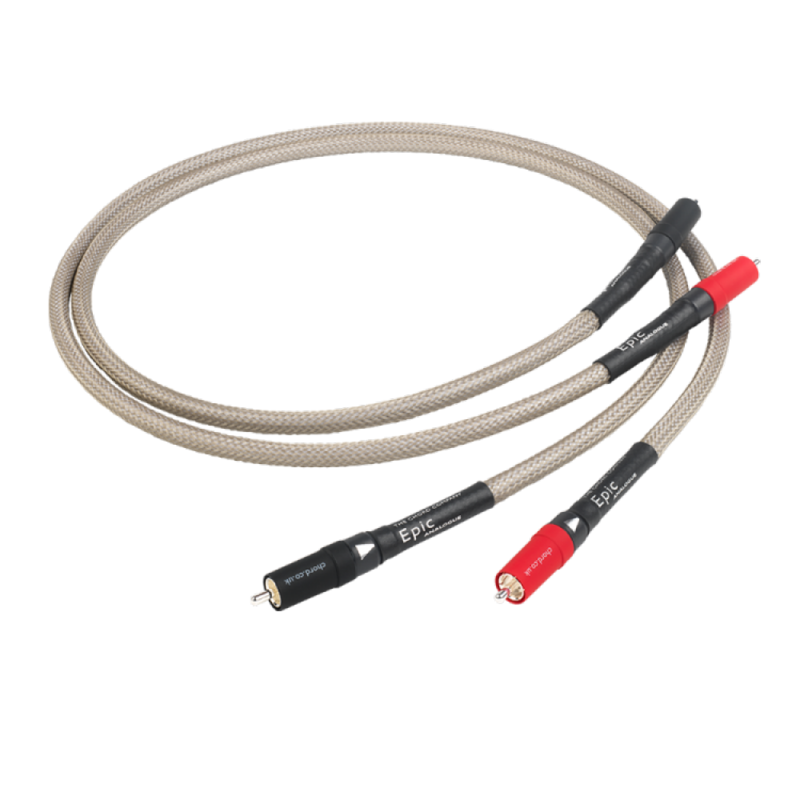 Both the Shawline and the Epic are Tuned ARAY cables and both use Chord direct silver-plated VEE 3 RCA plugs. The Epic though is built from heavier gauge silver-plated multi strand oxygen free copper conductors and an increased volume of PTFE insulation around each conductor. These are encased in a specially chosen PVC jacket to minimise mechanical noise and this is protected by a nylon braid. Then of course there’s the Tuned ARAY conductor geometry as well. The end result of this is a cable that will carry a lot more detail, dynamics and better portray the individual timbres of instruments. Not only that though the use of the Tuned ARAY conductor geometry means it carries this extra information with all the coherence it needs to make for a genuinely musical and involving sound. There are a whole host of mid-price CD players, streamers and DACS that are renowned for the exceptional amount of detail they produce. Right now there’s a £900.00 CD player sitting in the dem room. It sounds more than fine connected with a Shawline but swap the Shawline to an Epic and increases in detail and the coherence with which it produces it are astonishing – it sings! If you want the analytical experience it’s there but so is the musical involvement – music as emotional and detailed as a beautiful view on a clear autumn day.